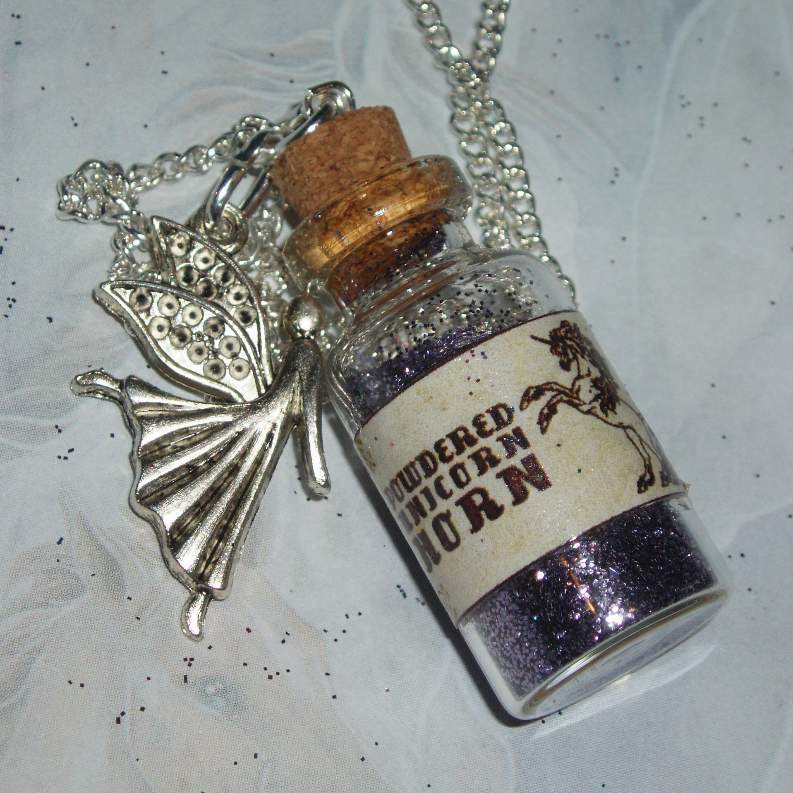 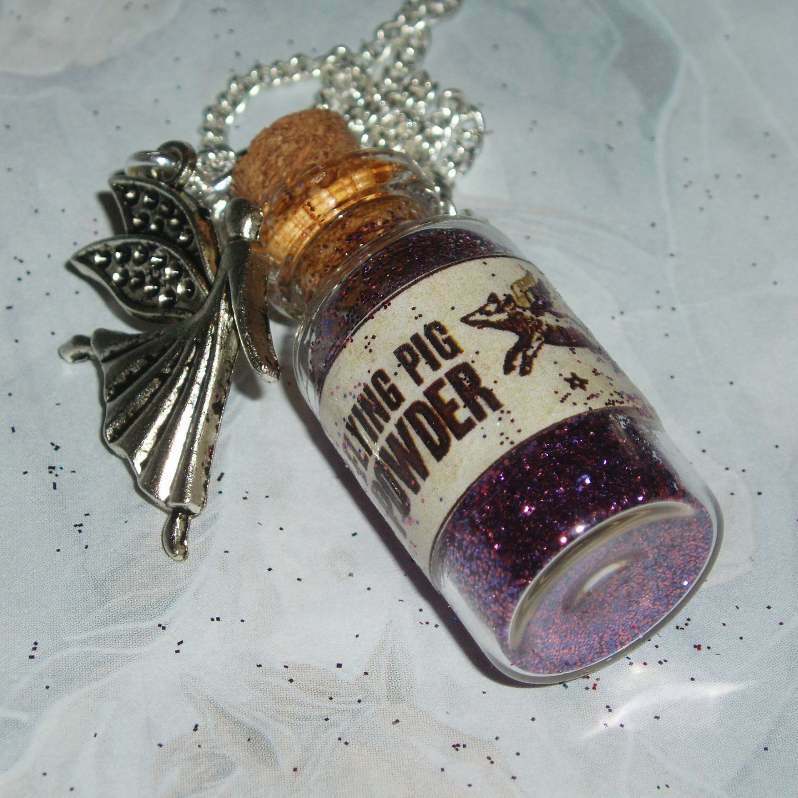 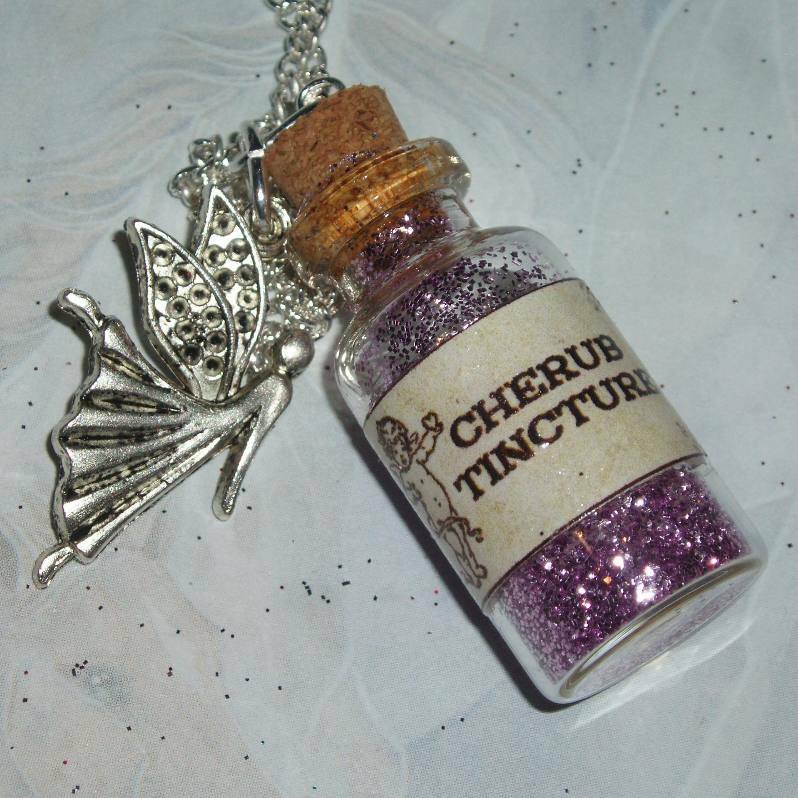 Fairy Dust Pixie Potion Pendants. 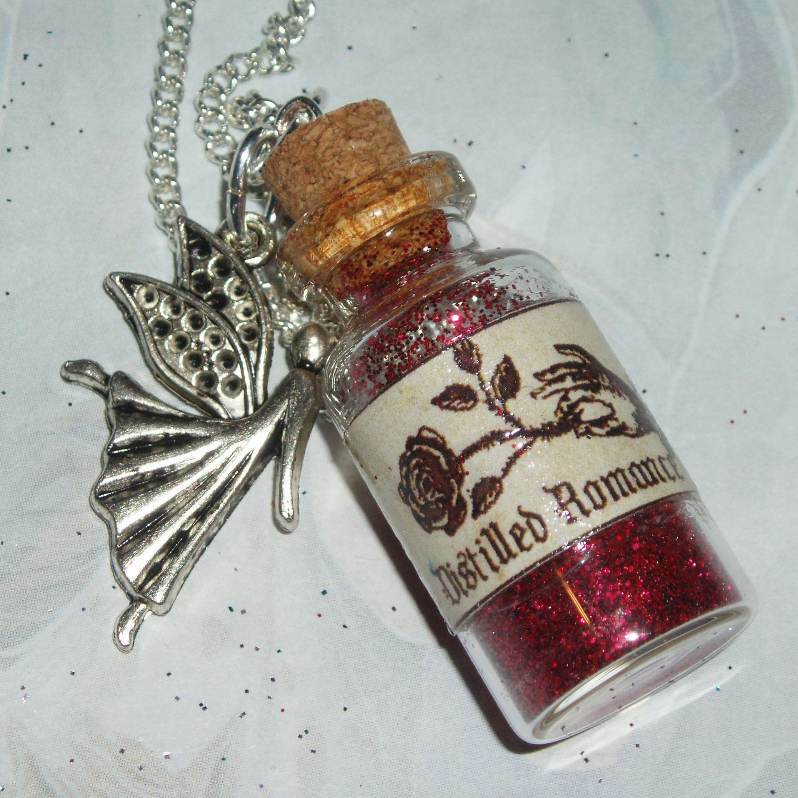 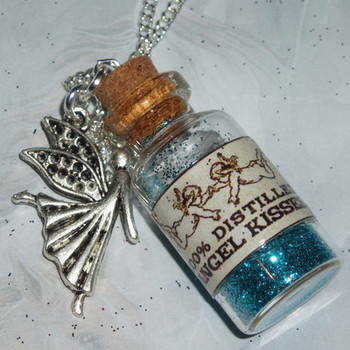 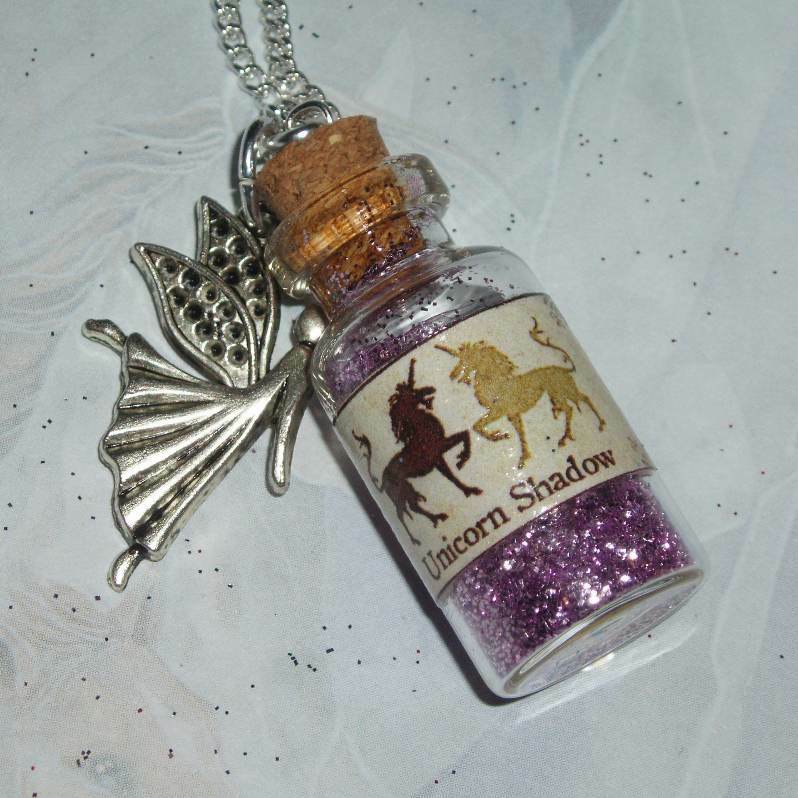 Each Fairy Dust pendant is filled with sparkling glitter and has a vintage look label, varnished for durability. 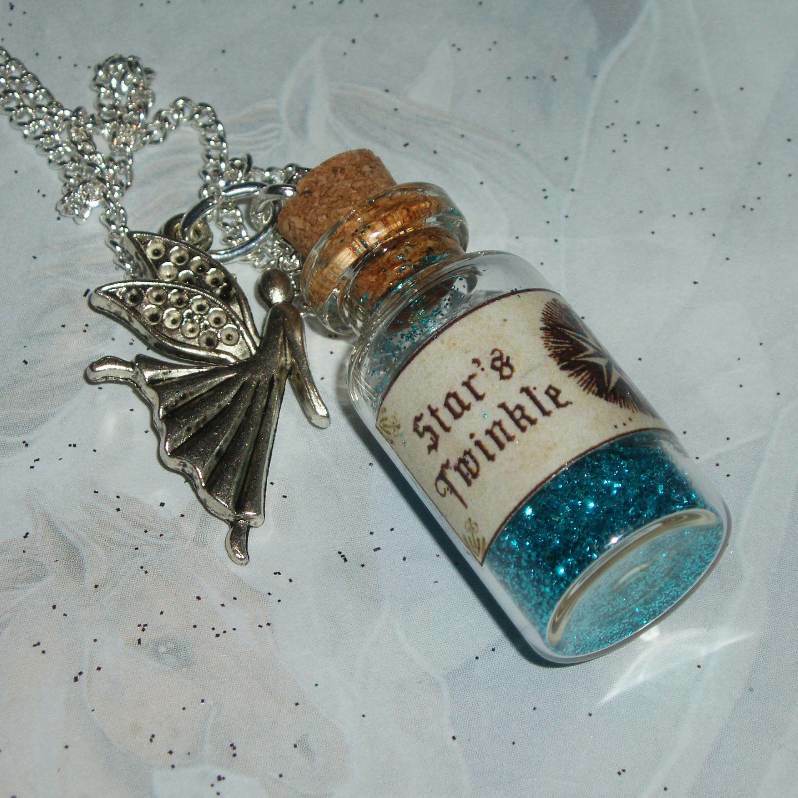 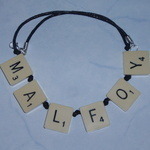 Also has a pretty Angel charm hanging from the top. 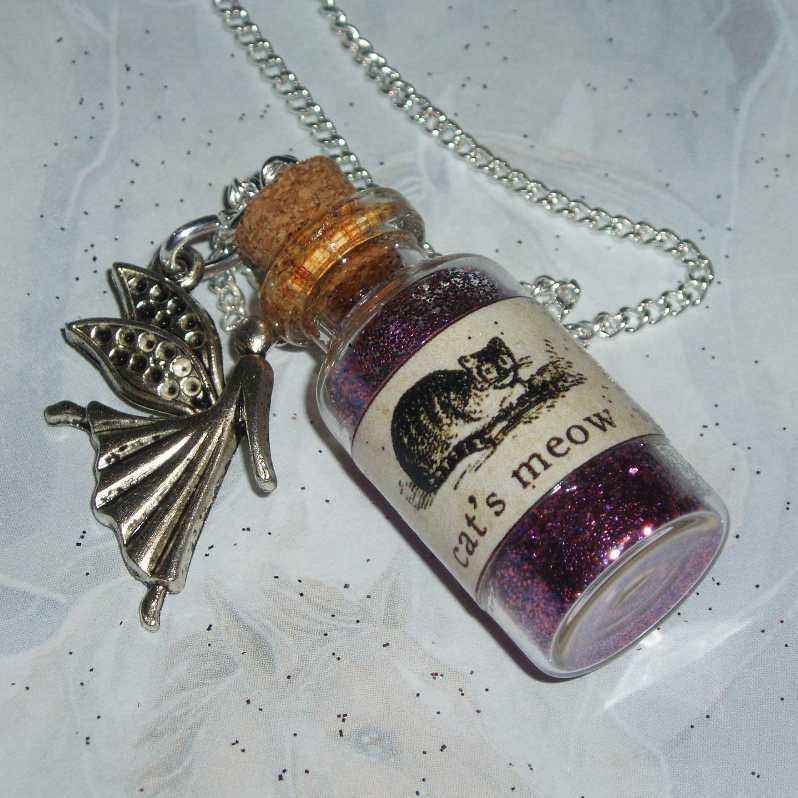 Available on a selection of chain lengths. 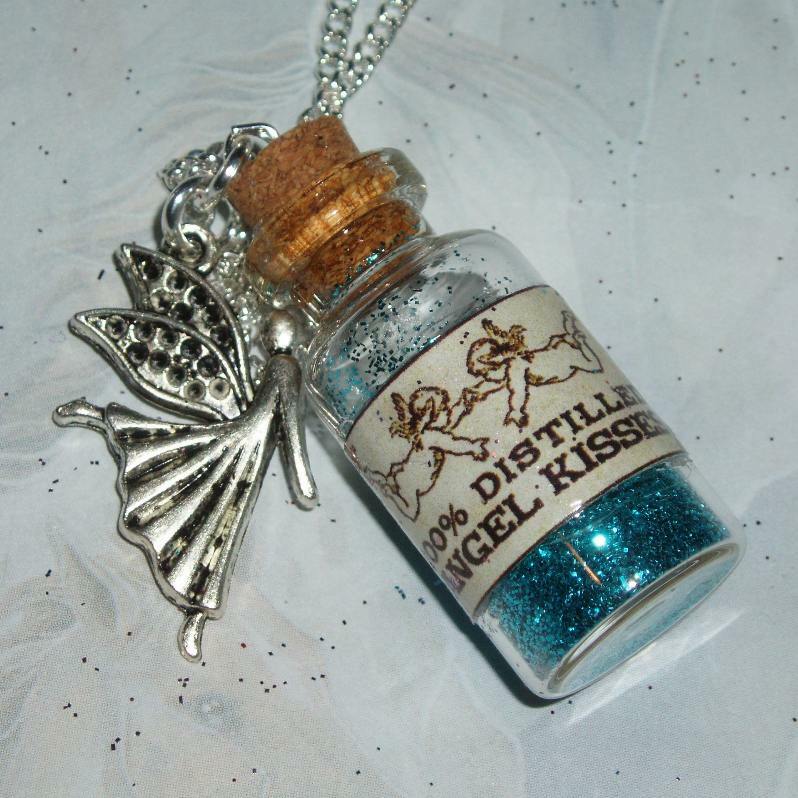 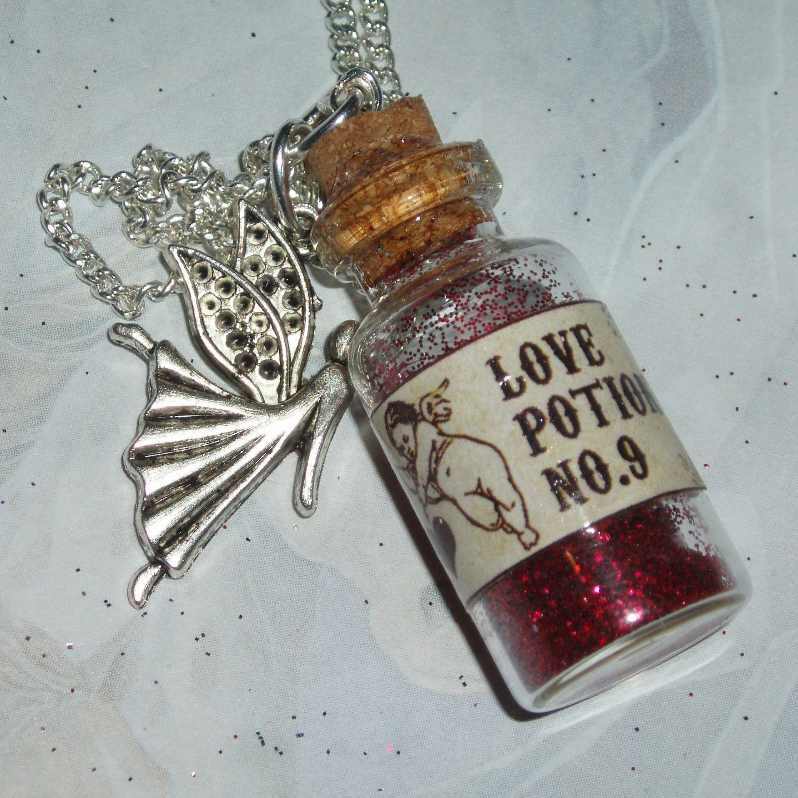 Fabulous gift for any Fairy, Angel or Pixie lover, just magic. 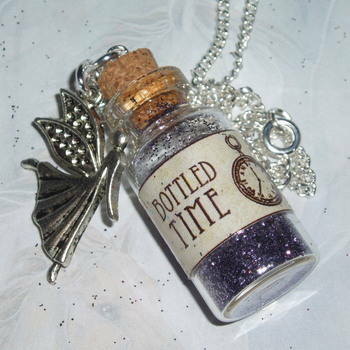 Choose from this selection of options.